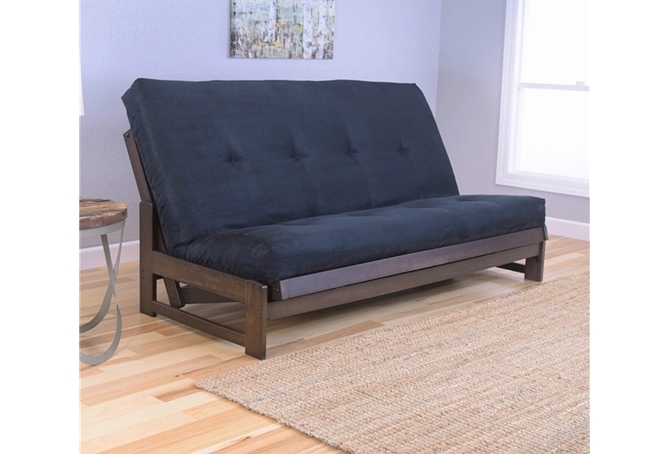 Low Arm Mocha Full Futon Frame with mattress in Suede Black - Buy from Manufacturer and Save. 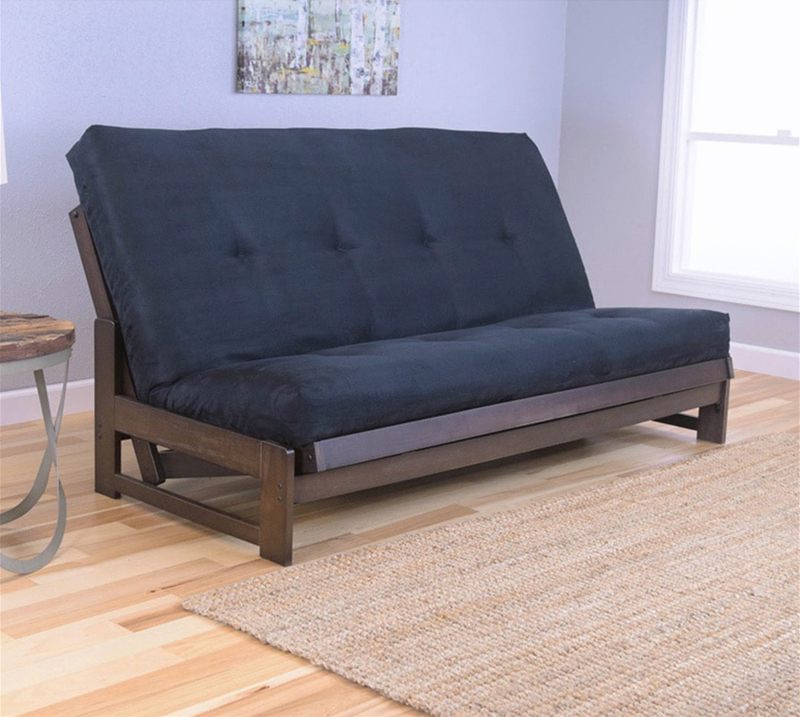 Low Arm Reclaimed Mocha Full Futon Frame with mattress in Suede Black reflects a distinctly modern styling. 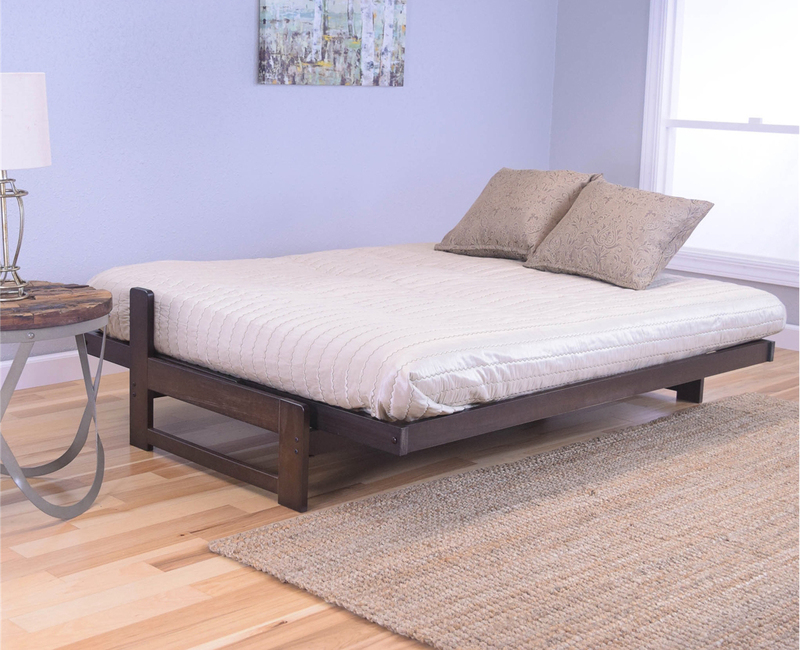 Offers premium construction using real hardwood and a technologically advanced multi step finishing process ensuring a rich finish. Features sofa height seating, reinforced brackets, sleep position auto locks and support struts for the back and seat. 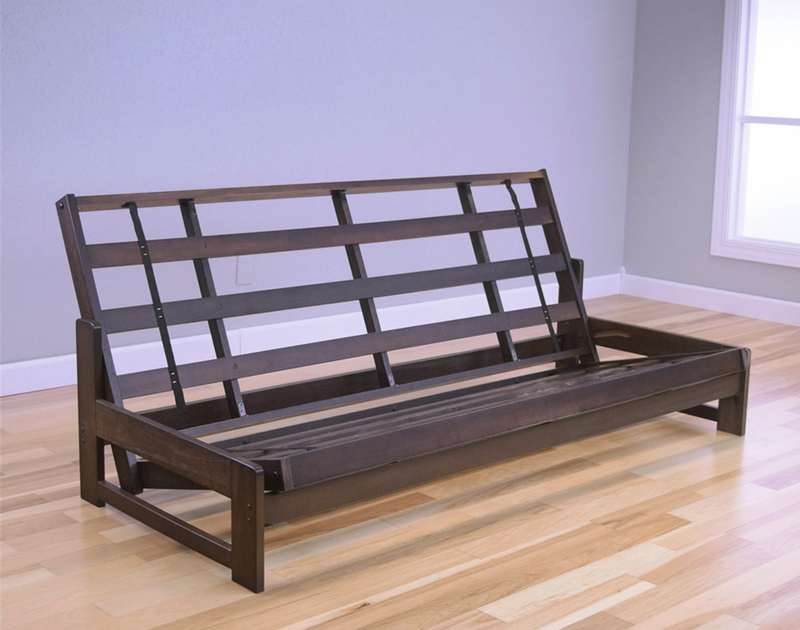 This futon convertible adjusts from sofa to bed in a matter of seconds, turning any room into a wonderful seating or resting area. Features sofa, recliner and bed positions. 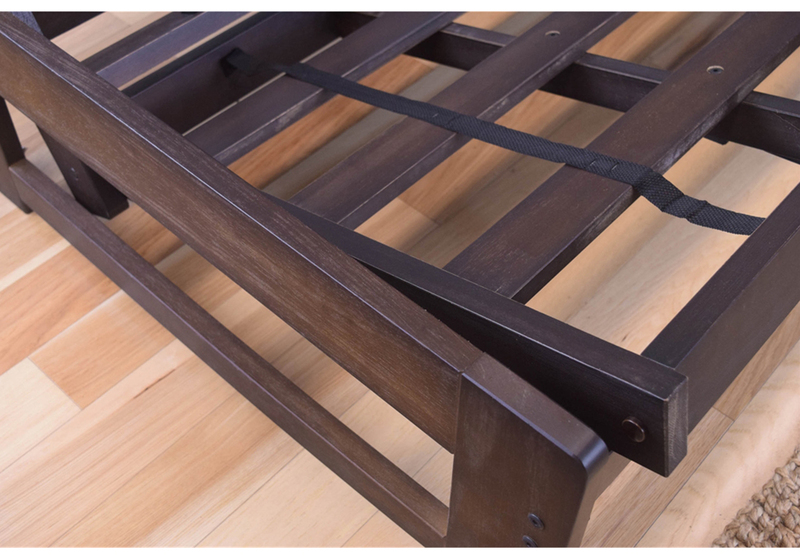 Made of plantation grown hardwoods that are sustainably harvested.